If you didn’t already know, I’m a little obsessed with the royal family… but mostly with Meghan Markle! I’m not sure if it’s because I adored her on Suits, she’s American or she’s married to my favorite British Prince, but I just love following along with her royal appearances, duties, projects and naturally, her outfits. Not only is she breathtakingly beautiful, but she’s got such a great figure – even if I don’t always love her outfits (although most of the time I do! ), I always think she still looks amazing. I tend to post a lot of updates on my Instagram Stories about the Duchess of Sussex, her appearances and looks, and always hear from my followers how much they love her and her sense of style too! I thought instead of just making it an Instagram thing, I’d turn my addiction to Meghan Markle updates into a new website… and thus, Sussex Style Watch was born! 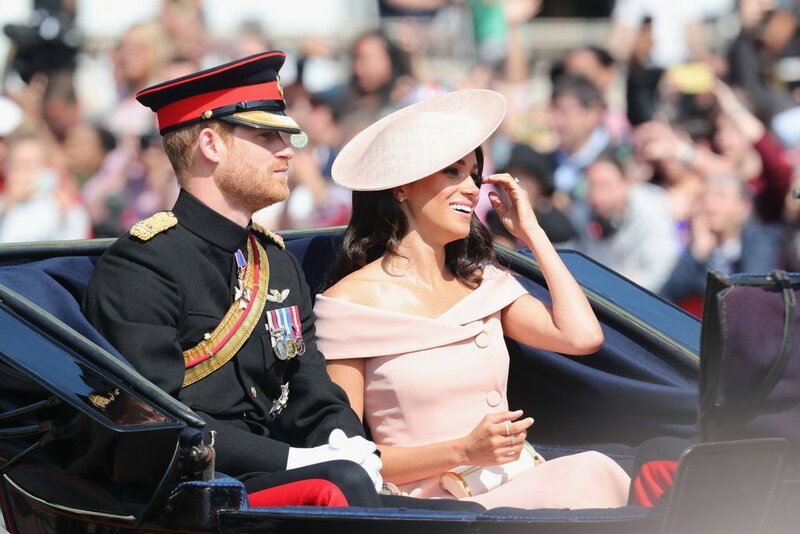 This new site is dedicated to documenting Meghan Markle’s royal style and recreating her looks with pieces from a variety of price points! I will do my best to link the exact items she is wearing or a similar item with a collage, and since her outfits are usually pretty pricey, I will also try to provide less expensive alternatives if you want to use more budget-friendly pieces! I plan to post a new outfit of Meghan’s every Monday, Wednesday and Friday, and plan to incorporate other blog posts on her beauty routine, royal gossip + news, and more! Considering Meghan is about to embark on her first big royal tour with Prince Harry, I thought this would be the perfect time to launch Sussex Style Watch! She’ll be making an appearance nearly every day for a month starting mid-October, so I’m excited to see and share those looks soon! I hope you all enjoy this new site – I’m having so much fun putting these outfits together already!! While this site is primarily focused on Meghan, I do plan to also incorporate Duchess Kate’s style and potentially the adorable royal kids’ clothes. Stay tuned to see what’s to come! Click here to check out the new Sussex Style Watch website and be sure to follow along on Instagram! I’ll also be starting a weekly newsletter that will go out each Friday documenting each week’s content. Click here to subscribe! Sounds like a brilliant idea! She’s one of my favs too, always so chic! P.S: I just found you and followed you on Insta-your feed is gorgeous! She’s such an inspiring woman, with great sense of style too.